Years after his playing days concluded, George Threadgill recalled to his hometown Wilmington Star News getting flack for the way he hit. He hit up the middle and the other way, not for power, he told The Star News. "That's the way that I felt I was consistent," Threadgill told The Star News in 2003. "To hit for more power in a lot of these minor league and big league parks, you have to pull the ball. I was not a pull hitter and at that age I was not going to try to. A lot of them just didn't understand that." Threadgill ultimately hit his way through nine pro seasons. He made AAA, but he never hit his way to the majors. Threadgill's career began in 1983, taken by the Rangers in the second round of the draft out of Whiteville High School in North Carolina. In 1983, he helped his Whiteville team to the state title, going 3 for 4 in the championship game. He started with the Rangers that year in the rookie Gulf Coast League. He hit .264 in 49 games. He then moved to single-A Burlington for 1984 and 1985. He hit .233 in 114 games in 1985. 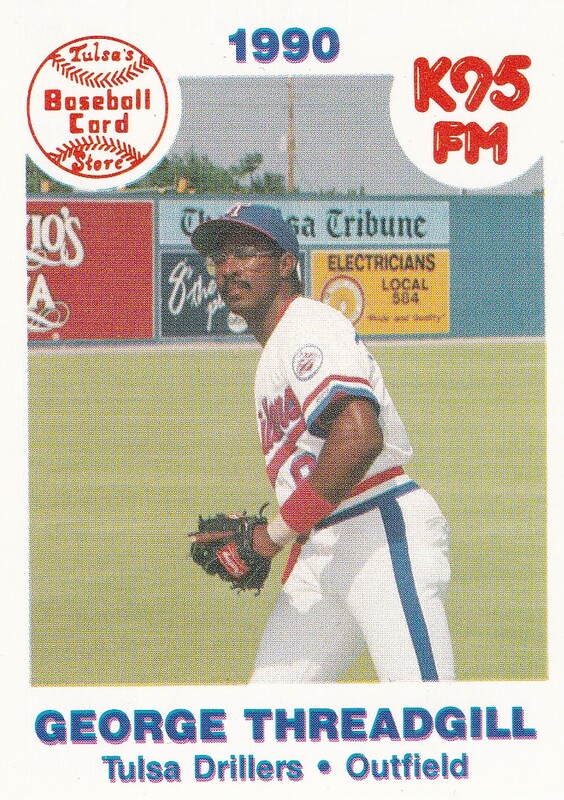 Threadgill played at single-A Daytona Beach for 1986, then AA Tulsa in 1987. He returned to Tulsa for 1988, where he hit .263, with five home runs. He went 3 for 4 in a September playoff game to help Tulsa to the league championship series. He played 1989 between Tulsa and AAA Oklahoma City. At Oklahoma City, he hit .227 in 50 games. Threadgill didn't return to AAA. 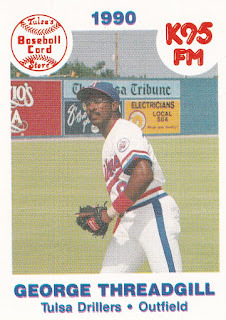 He played 1990 between Tulsa, high-A Port Charlotte and Mexico. He then played 1991 between Mexico and independent high-A Reno to end his career.